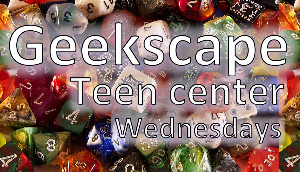 Hang out in the Teen Center and geek out about all your favorite fandoms! Play Dungeons and Dragons, Yugi-oh, Magic the Gathering, board games, and more. Work on a cosplay or a decorate a deck box. try a game you've never played before.